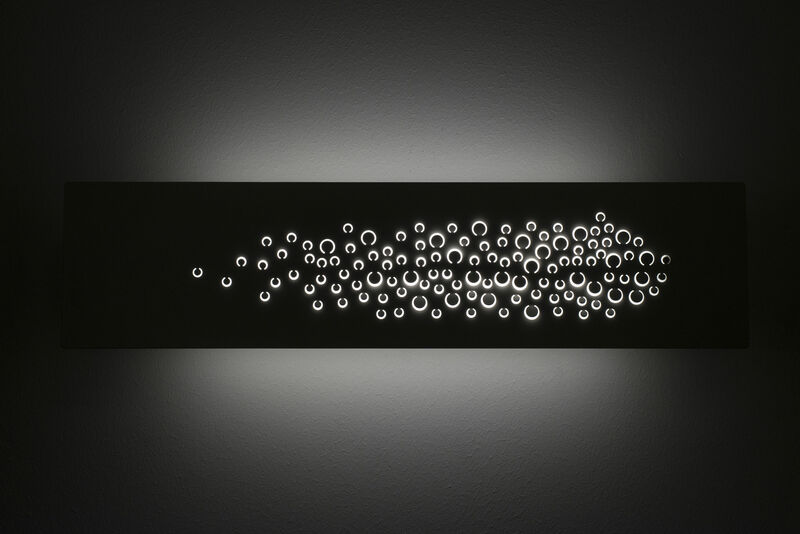 "Islet is an applique with a minimal shape but a peculiar poetic lighting effect.Its surface is animated by the light rays escaping from the slits on the front of its structure.Lots of tiny holes across the sheet metal fold let light through. This is reflected on the small wings produced by the folded material.The surfaces multiply reflexes and diffuse light. This results into a varying perception according to the view point, with the concealed or framed perforated area brightened up by the opal glass that hides the LED sources from sight.Opal glass also closes the top and bottom for better light diffusion without glaring. ""The idea came when I looked subway air vents in New York City.I want to design lamp which combine manufacturing technology of air vents with emotive pattern. 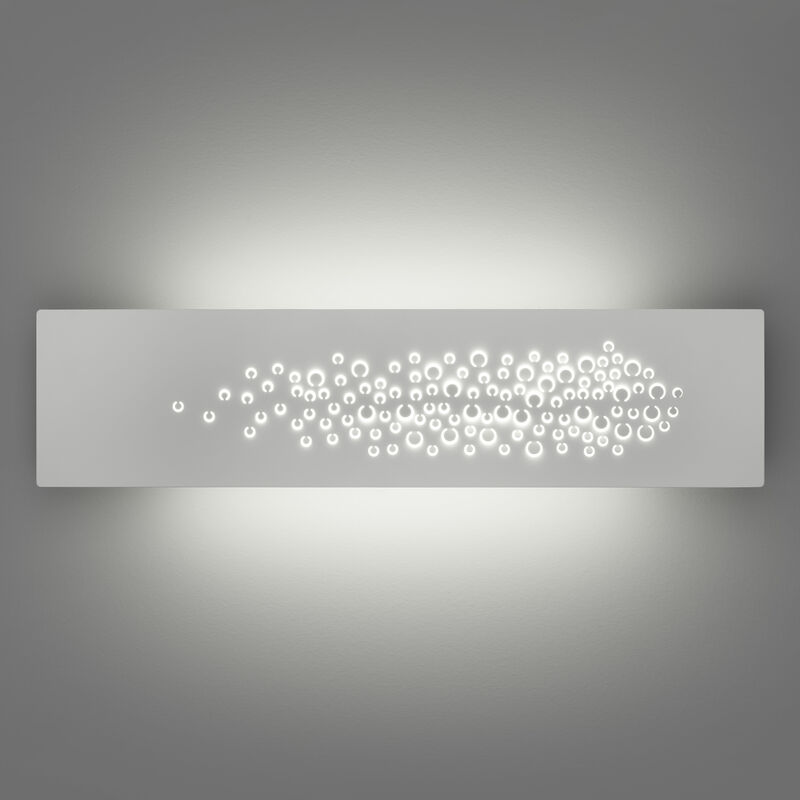 Result is wall light where you can see minimalist landscape with distant islet is reflected in the surface of the water"""